I’m normally not up and in position to welcome the incredible morning light, but frequently have good intentions. That was part of the reason I decided to stay right on the water here in Rockport at the cool little “Emerson Inn.” Without the normal distractions of everyday life that keep me up well past midnight ruling out any chance catching the light that rises over the ocean less than a mile from where I live, I left myself with no excuse. 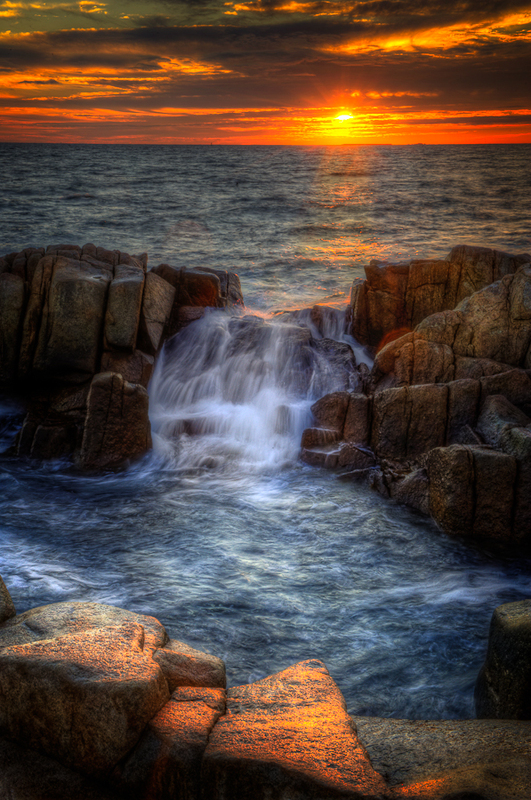 Here, it was roll out of bed, grab the kit, stumble down over the granite, and get busy capturing the scene. You know, this little post is kinda going nowhere….and fast! Guess its time for the nonsense to end…..
Lots on the plate for tomorrow so……..gotta go. Enjoy!